Well-known for its trident logo, Maserati is a venerable name in the world of motor sports and racing and a symbol of the rich automotive heritage distilled in Modena, Italy. 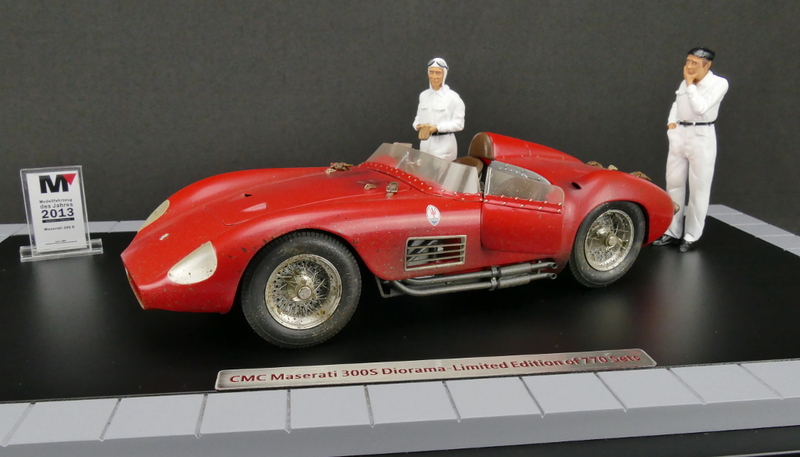 A Part of this history is the Maserati 300S. Only 26 (27) units of this racing car were produced and fitted with three different body de-signs (in the front section) between 1955 and 1959. Many components of the successful Formula 1 race car 250F were incorporated into the 300S. By so doing, Maserati managed to create a sports car with a lot of potentials. 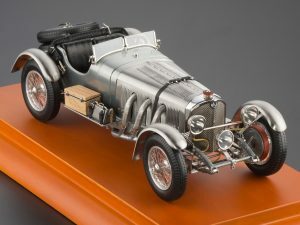 It immediately captured the attention of a long list of renowned race drivers and racing teams, who rode the car successfully in countless races. 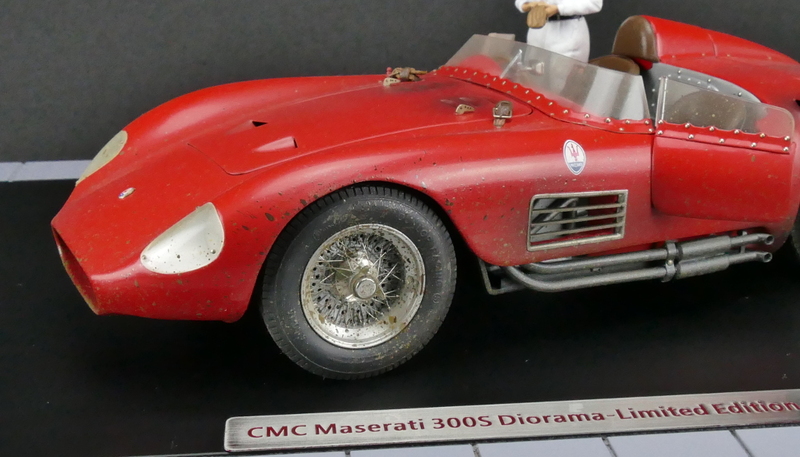 With top drivers such as Stirling Moss, Piero Taruffi, Harry Schell and Jean Behra behind the wheel of its 300S, the Maserati team was able to achieve a great victory in the 1,000 km en-durance race on May 27, 1956 at the Nürburgring. Further successes followed at many more famous race tracks around the world during the same year. At a result, the 300S finished 2nd in the 1956 World Sportscar Championship. 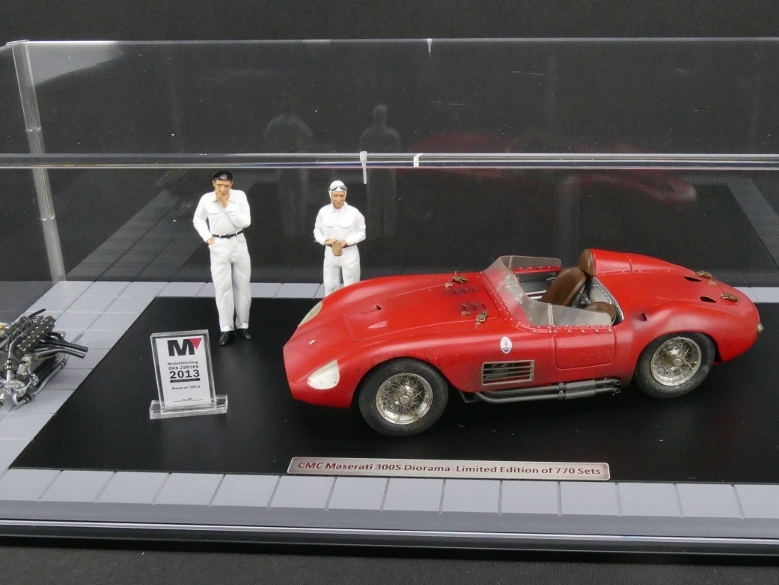 CMC has crafted an authentic replica of a 1956 300S original. This original vehicle holds a very special place in the 300S history, because it is the only 300S that integrates a number of fea-tures and components rarely seen in the other 300S units. With this exquisite bundle CMC presents this bolide in a Dirty Hero version on a high-quality and massive base plate. Two figurines, representing a driver and a mechanic, and a removed engine with all aggregates, pipes and cabling are supplementing this beautiful diorama. 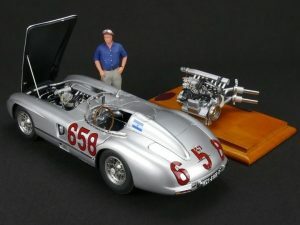 The miniaturized version of the trophy “model car of the year 2013” from the maga-zine “MODELL Fahrzeug” additionally pays tribute to this amazing model car. 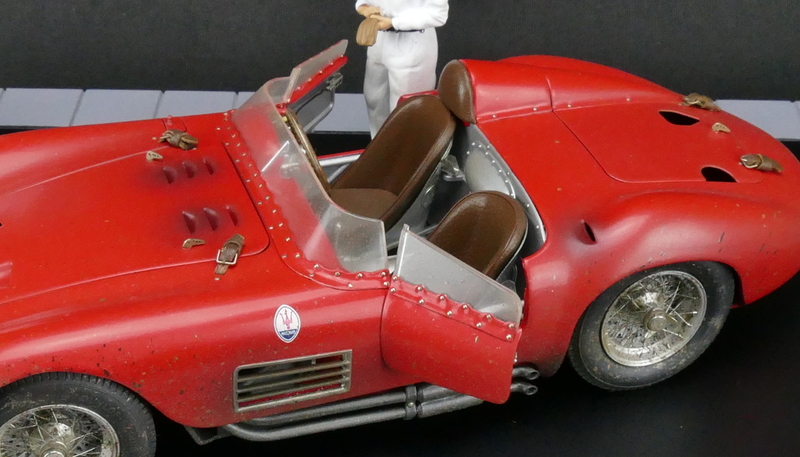 CMC M-117A Mercedes-Benz 300 SLR Fangio Mille Miglia Techno Classica 2016 S.I.H.A.